After officials deemed a transfer student ineligible, an undefeated team lost its shot at the playoffs — and it’s the students from West Oakland who will suffer. 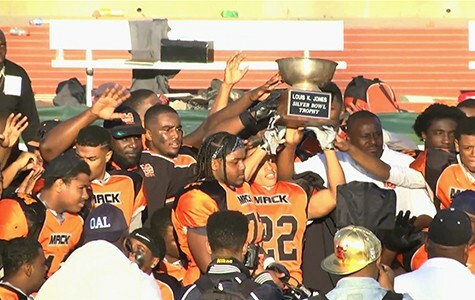 Players for McClymonds, which finished undefeated and won the city championship, were denied a chance to show off their talents to college recruiters. LaVance Warren has been playing football since he was five years old. The seventeen-year-old McClymonds High School senior has been on the West Oakland school's varsity football team since he was a freshman and hopes to play football in college. Currently, the running back has an offer from one university, but had long hoped to expand his options by leading his team to the playoffs where college recruiters are usually present. That opportunity, however, was shattered last weekend when McClymonds failed to advance to the playoffs despite the team's undefeated record this season. This huge setback has nothing to do with the team's athletic performance, but rather stems from a dispute involving the eligibility of a transfer student — a legal battle that has raised a number of questions about how California high school sports officials and the Oakland Unified School District (OUSD) govern athletics and scrutinize transfer students. "These are underprivileged kids who don't have anything," said Ronnie Moore, the team's defensive coordinator, a volunteer coaching position. "These kids have worked so hard for this for so long. It's just a devastating blow." The controversy surrounds transfer student athlete Kevin Davidson, a junior who began attending McClymonds this year after transferring from San Ramon Valley High School in Danville. In June, Davidson and his family moved from their home in Danville to West Oakland, because, according to the family, Davidson's father had new job responsibilities that required him to work in San Francisco and on the Peninsula. That meant that Davidson would be transferring from the suburban, predominantly white Danville school, to McClymonds, a largely black urban school in the heart of West Oakland. After the California Interscholastic Federation (CIF), the governing body for high school sports in the state, approved Davidson's transfer to McClymonds, the team's coaches made him the starting quarterback. He then helped guide McClymonds to four consecutive victories to start the season. But then in October, the CIF reversed its earlier decision and ruled that Davidson was no longer eligible to play for the team. Based on a lengthy investigation that involved ongoing surveillance of the family's Oakland home and Danville property, the CIF concluded that the Davidsons were still partially living in Danville. That was a violation of CIF rules, which state that a change of residence is only valid if the entire family has vacated the previous home. These findings led the CIF to conclude that Davidson had transferred schools for athletic reasons, which the CIF forbids. Russell White, CIF's Oakland commissioner, argued that Davidson must have transferred for athletic reasons, rather than academic ones, because San Ramon Valley has significantly higher test scores than McClymonds does. As soon as the CIF reversed its original approval of Davidson's transfer and deemed him ineligible, McClymonds removed him from the team, forcing the coach to scramble to find a new quarterback. Yet even without Davidson, McClymonds went on to finish the season with an undefeated record of 12-0. In early October, when White delivered the bad news to the team about Davidson, he made it clear that the decision would not impact McClymonds' first four winning games, because the CIF considered the transfer student eligible during that period, according to a complaint that the National Center for Youth Law (NCYL) filed last week against the CIF on behalf of a group of team members. That Alameda County Superior Court complaint alleged that it wasn't until November 12 — on the same day as an appeals hearing in Davidson's case — that White changed his mind about the original four wins. Then, he warned the team and other McClymonds staff that the CIF would require the team to forfeit the four wins if Davidson's appeal failed. The appeal then subsequently did fail. 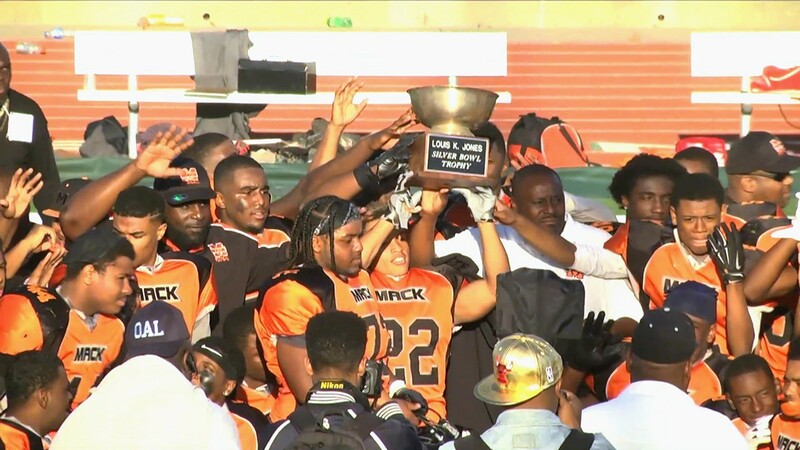 Two weeks later, McClymonds won the city championship, making the team a shoo-in for the playoffs — the Regional Football Championship Bowl Games. But because of Davidson's failed appeal, the CIF downgraded McClymonds' official record from 12-0 to 8-4. And last Sunday, the panel that selects teams for the playoffs — based on a number of criteria, including win-loss records — passed over McClymonds. That news came after students' efforts to block the CIF in court had also failed. Davidson took his eligibility case to Alameda County Superior Court last week, arguing in a complaint against the CIF that White's decision was arbitrary and not backed by evidence. Part of White's ineligibility determination was based on the fact that Davidson's younger brother was still attending school in San Ramon County and that the family still owned its Danville property. But lawyers for Davidson contended that the younger brother was living with his grandmother and that CIF rules did not require the Davidsons to sell their home. His attorney, Spencer Smith, further criticized White for citing the fact that McClymonds has lower test scores than San Ramon Valley in his determination that the transfer had to be because of athletics. Using that criteria means the CIF is unfairly scrutinizing schools that serve higher rates of low-income families and students of color, because athletes transferring to schools with better test scores in wealthier districts would not be subject to the same investigations, Smith argued. "The rich get richer and the poor stay poor," he said in court. He later added in an interview that "this is predominantly affecting schools in the inner city." But on Friday, Alameda County Superior Court Judge Evelio Grillo rejected Davidson's request, arguing that there was substantial evidence that the student was ineligible under CIF rules. Grillo subsequently denied a temporary restraining order request from the NCYL, an Oakland-based nonprofit that had filed a separate complaint against the CIF on behalf of four other players: Warren; senior Kelton Runnels, an offensive and defensive lineman; junior Taivion Foster, a defensive tackle; and senior Michael Walker, a cornerback. Attorneys for the National Center for Youth Law argued that the CIF's decision to forfeit the four games violated the students' due process rights, because the CIF did not give the team any official notice of the forfeitures (beyond an informal and confusing warning in November). The complaint also alleged that the students had no opportunity to speak up before losing their shot at the playoffs and that the CIF violated the students' equal protection rights when it scrutinized McClymonds simply because of its lower test scores. All four students wrote personal declarations illustrating what the missed playoffs meant for them — including erasing their hard work and accomplishments and depriving them of critical college recruitment opportunities. While Grillo said he was troubled by the CIF process in this case — given that it was forfeiting games that occurred before Davidson was deemed ineligible — he ultimately sided with the CIF, arguing that the individual students lacked legal standing. "Participation in athletics is a privilege," Grillo said during the hearing, "not a constitutionally protected right." White of CIF did not respond to requests for comment for this report, but in a court declaration, he denied that he originally promised McClymonds that it wouldn't have to forfeit the four games for which Davidson was on the team. Troy Flint, spokesperson for OUSD, said in an interview that the district was bound by CIF rules. "We had to follow the regulations as written, which demand that we forfeit those games, because an ineligible player did participate, even though that was unintentional," Flint said, adding that "we realize that this has tainted to some extent the remarkable performance of the McClymonds athletes, and that's tremendously disappointing." Flint said that, in the future, CIF officials need to be better trained on the CIF's own rules governing transfers, in order to avoid this kind of last-minute debacle. "This is really tragic that ... players are suffering from the result of adults' mistakes. The students are caught in the middle and that's a failure of the system. We have to take responsibility for that." Flint said he also felt that existing rules unfairly target athletics, considering that families transfer schools for a wide range of reasons — for arts or language programs, for example — and don't face the same kind of investigations or obstacles. Flint said school officials would work to make up for some of the missed college recruitment opportunities by actively showcasing and promoting the students in the absence of the playoffs. "We owe it to the community to really support these kids in terms of marketing them to schools." Both NCYL attorneys and Davidson's lawyers said they plan to take additional legal action this week before the playoffs in McClymonds' division begin on Friday. It's unclear, however, what remaining legal recourses they have and whether a judge could force the CIF to reconsider the playoff decisions it already announced. Other than the team's coach Michael Peters, who filed a declaration in the NCYL complaint, officials at all levels let these students down, said Moore, the team's defensive coordinator. "They should be appalled with themselves," he said, arguing that the district and McClymonds officials should have backed the team, not the CIF. "We just thought that somehow, someway, we'd be able to go on. ... But no one is standing up for them."